Hi again bloggy friends! 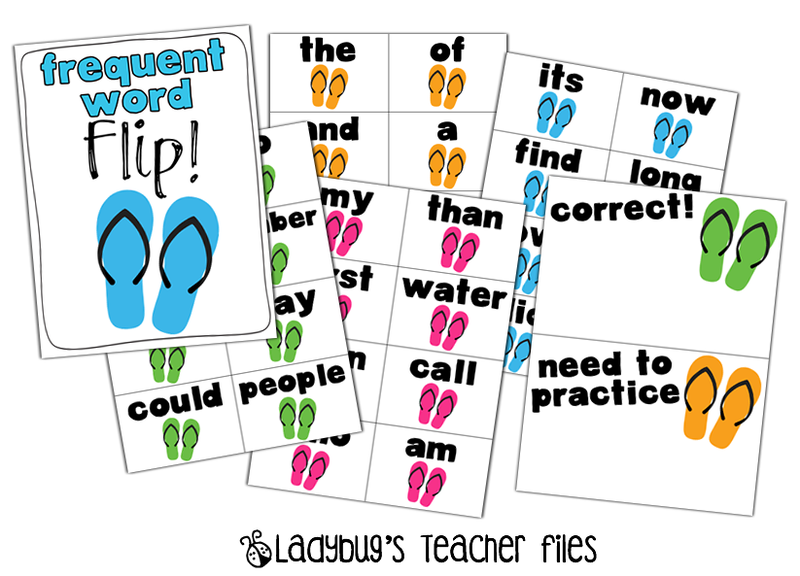 Last night, I shared Frequent Word Flip! (the pink and zebra version). I also wanted to share a tropical colors version–so it would be more whole-class friendly. This item can be found for free in my Teacher’s Notebook shop. Let me know if it’s something you can use with your class, I love hearing it when you can use any of these items! Thanks for visiting!! Love it Kristen! I'm a sub right now, but will use it as soon as I get a new teaching job! I love them both!! Thank you! These are adorable! You are on a roll! Thank you Brian, Teri, and Courtney!! It's not a dumb question! I was just going to have my students who need this practice buddy up and read them aloud, taking turns reading the words (that way a struggling student can hear their friend read the words correctly and the friend can help say the words). Thanks for the interest in these! Oh my! Great stuff here! Love it- thanks for sharing!! These are great! i just love the work you do – don't know how you find the time to get your ideas down so nicely. Thank you for sharing.